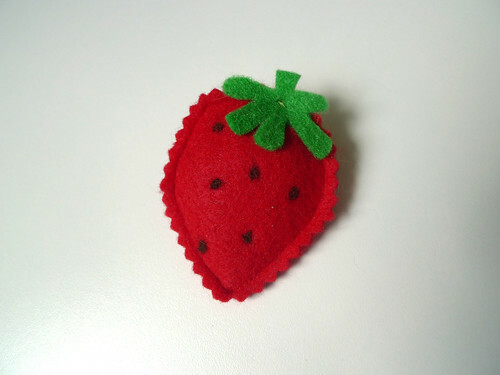 I finished the strawberry! It is stuffed full of catnip and Winslow so badly wanted to play with it. I think more catnip toys are in the future! You should use the material to make winslow one. :):) cb is going to love it. Thank you so much for doing it .